If you have an existing foot or ankle condition, you may need the support of high-quality orthotics. 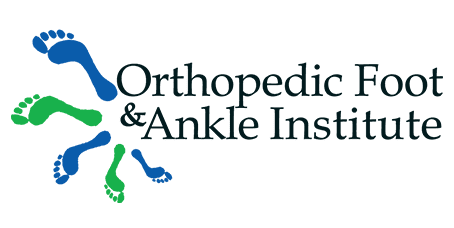 At Orthopedic Foot & Ankle Institute in Henderson, Nevada, Dr. Roman Sibel offers dependable orthotic devices, including shoe inserts and braces, to improve your mobility and prevent progressive damage. Dr. Sibel also offers prosthetic devices to enhance your quality of life following the loss of a limb. To learn more about the benefits of orthotics and prosthetics, schedule a consultation online or by phone today. An orthotic is a support, splint, or brace that corrects abnormally aligned feet while improving your balance and mobility. Orthotics properly align your skeletal frame to alleviate pain and functionality issues due to the misalignment. Dr. Sibel may recommend orthotics for several reasons, including proper alignment and support of your ankle and feet, and the correction or prevention of foot deformities. Properly fitted orthotics can also improve your overall mobility and functionality. If you have a deformity where one leg is longer than the other, orthotics can help restore your balance and improve your overall functionality. Can I buy orthotics at a store? Orthotics are available at most pharmacies and other retail stores. However, receiving orthotics from Dr. Sibel ensures they’re custom-fit to your foot or ankle based on your specific needs. He also uses innovative technology to design your orthotic device to accommodate your gait. How do I use orthotics? There is a period of adaptation for new orthotics, and Dr. Sibel may recommend wearing them for only an hour on the first day. You can increase your time by one hour each day until you’re comfortable enough to wear them all the time. As your body adjusts to using orthotics, you may experience periods of muscle aches and discomfort, which gradually resolves itself over time. Activity functionality -- including running and jumping -- are also part of the design process based on your specific lifestyle and functionality needs. Dr. Sibel can recommend therapy to help you learn how to use a prosthesis effectively. He also makes adjustments to ensure a comfortable fit. Schedule a consultation online or by calling the office to learn more about the benefits of orthotics and prosthetics.